Are you on a mission to find the best stock photo sites? Sick of looking left, right, up and down only to come across the same ol’ photos that you see everyone else posting? Lucky you found us right at this moment! 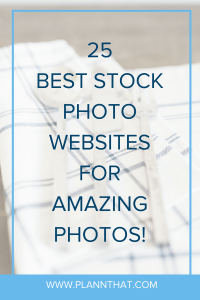 Would you believe it… we’ve found 25 websites where you can find amazing stock photos and images that you can download in a few quick seconds. Yippee, that sure turned your day around! Now if you’ll allow us to knock ya’ socks off, we’d like to share with you 25 of the best stock photo sites where you can find images of all sorts of things. To keep this list interesting, we’ve decided to break it down into different categories depending on your budget. Now, this isn’t to say that the freebie images are lower quality than the fancy ones, oh not at all! All of the sites in this list are absolutely fan-freaking-tastic for downloading images from. It’s all about your budget. Your cashola = your preferences. 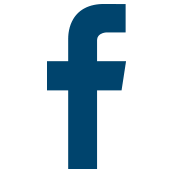 Whether you’re looking for free, royalty-free images or niche, high-quality images with a limited amount of downloads available, we’ve got you covered. So read on my dear photo-seeker, and find the best stock photos that you ever did see! Here are a few of the best of the best stock photo websites where you’ll be able to find free images that are also royalty-free. That means you don’t have to credit the photo source when using the images! The stock photo sites we’ve listed in this category are pretty nifty, although you will have to have a few pennies in your pocket to pay for these snaps. Trust us when we say that those pennies spent are going to be well worth it! If you (or someone you know) has a brand or blog that is a little bit fancy pants, these are the ultimate stock photo sites to find the perfect pics. BUT WE DON’T WANT TO STOP THERE…. Now that you have a list of 25 of the best stock photo sites that you can download images from, you need to figure out how you’re going to plan these images to perfection so that you can create an absolutely jaw-droppingly awesome Instagram grid. Right? Well… allow us to help! Once you’ve picked the stock photos that make your heart skip a beat you can upload them to the Plann app (from a Google Drive folder, Dropbox folder, or even your phone camera roll) and start editing them from there. Plann has a whole bunch of fun editing tools including over 60 professional (and free) filters to help you get the perfect ‘look’ for your Instagram grid. After you’ve edited your images, you can drag-drop them to create an Instagram grid that flows beautifully and makes people want to keep on scrollin’ for more goodness. No seriously – the whole point of having a visually stunning Instagram grid is to keep people on your Instagram account for longer. Huzzah! Plann will help you to not only create an amazing Instagram grid – you can even schedule your Instagram posts and keep an eye on your best performing Instagram posts and the color palette that keeps your Instagram audience coming back for more. How wicked cool is that? If you’d like to try the Plann app out for yourself, don’t be shy. 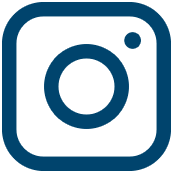 Download the app for your phone or tablet and get plann’ing your way to the perfect Instagram grid today. Trust us, you’re going to love it. PreviousPrevious post:Creative Instagram Highlight Covers That We Love + Nifty Tips To Create Your Own!NextNext post:Pinterest vs Instagram: Which is Better For Your Business?